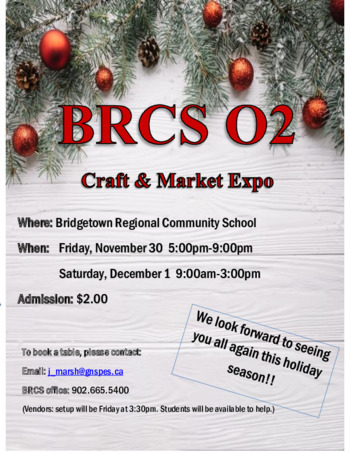 The BRCS O2 Class is opening the doors for its 7th Annual Craft and Market Expo. This event is free for vendors and celebrates all thing local. A great event for community and just in time for the Holiday season.